Today I’m thrilled to bring you a guest post from Matt Appling. I discovered him when his book, Life After Art: What You Forgot About Life and Faith Since You Left the Art Room, was released in 2013. He’s a pastor and an artist—an unusual combination, but naturally one I like :-). He’s a great guy, and I’m indebted to him for a wonderful blurb he gave me for my book. I’ll share that with you later this week. But in the meantime, enjoy this post and check out this book. I just got a copy and haven’t gotten to read it yet, but I am convinced it will be a powerful book for people who have (or are) battling infertility. And I suspect there are insights about life for all of us. Enjoy! It’s a virtue, but it’s never been my strong suit. You know, it’s like I’m always in a hurry. I want everything to get done yesterday. Patience has been a slow learning process for me. Five years ago, my wife, Cheri, and I decided we wanted to have a child. 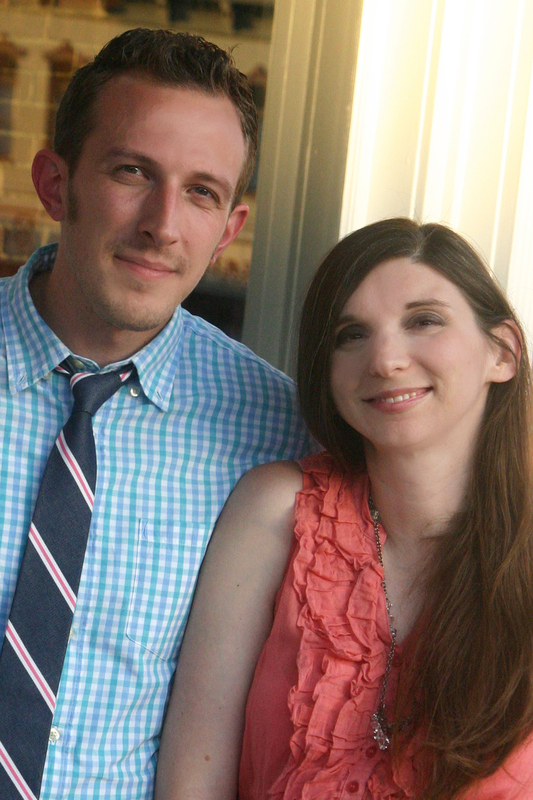 We had enjoyed a few years of happy married life and decided that the time was “right” to upend everything. And so we tried. And we prayed. “Why isn’t this happening?” we asked ourselves. We had decided that we were ready to have a kid. We had made plans. And nature was now deviating from the plan. Month after month, no baby came. After a year of trying, we went to a specialist. Cheri was diagnosed with polycystic ovarian syndrome. It’s basically the common cold of infertility, very common, but easy to miss with general practitioners. A few treatments here and there, we thought, and we would be on our way. And yet still, months passed. No baby. Now we were getting impatient. We felt ourselves pushing against the “clock.” We were starting to get worried. We saw our friends taking the plunge into parenthood. We watched their children grow at an almost alarming rate. A year is a huge difference in the life of a child. As months turned into years in our infertility journey, we started to learn something about the discipline of patience. We began to realize that no matter what the doctor said, she could not make any guarantees. No matter what treatments we went through, there could be no promises. It was still in God’s hands. No matter how much money we threw at the problem, or how much we prayed, we could not make our child appear any faster. See, the sensation of impatience comes from the feeling that we should be in control of something. Impatience is our brain rebelling against a world that is ultimately not under our power. When I feel impatient, I want other people to do and act as I see fit. I want the world to bend to my will. I want the Earth to spin a bit faster. I want people to hurry up. Slowly, ever so slowly, I started to let go of impatience. I sat with Cheri for a week in the hospital when her treatment took a catastrophic turn and thought “This is how our story goes. There is no sense in trying to rush it.” I helped her get back to health for weeks after, over Thanksgiving and Christmas. We planned on more treatments, but then she got sick again and we had to wait a couple of months more. All of this time, just spent waiting. There was nothing we could do about it. No amount of wailing or worrying, no amount of complaining would change it. Spending five years waiting for a child changes two people. When my one-month-old son cries, I try to be patient through it. I do not try to rush him through this phase of life. I do not try to make Cheri move faster. …If only we are willing to be patient. 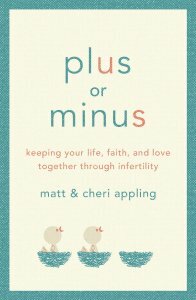 Matt and Cheri Appling are the authors of “Plus or Minus: Keeping Your Life, Faith and Love Together Through Infertility.” Find Matt’s blog at MattAppling.com.